Labour Party deputy leader Tom Watson will today put pressure on the betting industry by positioning gambling addiction as a "critical" social issue, amid a tense campaign with calls for further regulation led by an outspoken former spokesman for Jeremy Corbyn. Watson was speaking at a fringe session at the Labour Party Conference yesterday organised by the think-tank IPPR. He said it was "staggering" that the "hidden epidemic" of gambling addiction in the UK had gone relatively unnoticed, claiming there were 430,000 such addicts in the UK. "I cannot believe it is not on the priority list of Theresa May as a critical social policy issue and i’m going to be saying more about this in my speech to conference tomorrow," he said. Watson takes to the podium at 5pm on Tuesday. While it is widely expected that the Government will launch a consultation on both advertising and stakes and prizes in gambling, Watson said he understood culture secretary Karen Bradley has "no intention of changing anything in terms of legislation". During the IPPR session, Watson was also critical of the gambling industry's lobbying efforts, saying: "We all know how the world works in politics and there will be people in this room who are paid to represent the interests of the gambling industry and they’re paid a lot of money to try to argue that black is white." Watson also praised the work of anti-gambling campaigner Matt-Zarb Cousin, who spent a year working as Jeremy Corbyn's media spokesman until April this year. Since leaving the Labour leader's office, he has returned as a consultant to the Campaign for Fairer Gambling, a small group funded by poker player Derek Webb and his partner. Former gambling addict Zarb-Cousin has spoken about his addiction, raising the profile of the issue through his fiery presence on Twitter and also writing sponsored content for right-wing blog Guido Fawkes. 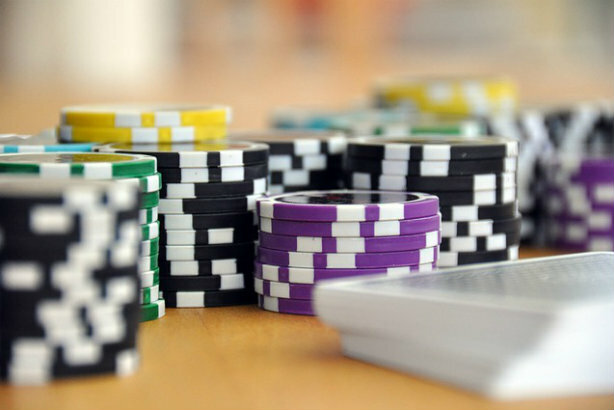 Zarb-Cousin told PRWeek after the session that he was confident that the environment was "so hostile" to the gambling industry that change was on its way. He said he hoped the review would lead to a reduction in the maximum stake on fixed odds betting terminals (FOBTs) from £100 to £2. "Otherwise it'll feel like they've given in to the bookies – the only political capital in it [for the Government, is if it's £2," he said. Zarb-Cousin was critical of the role of the Association of British Bookmakers, saying they are "not interested in reducing harm" and accusing them of bringing in "friendly academics" to back up their arguments. "It’s become a war, it’s become very confrontational and adversarial – if i thought we could make any progress working with them, I might have done it," he said of relations between the campaign he works for, and the ABB and members, who he says have collectively spent "tens of millions of pounds" on "defending the indefensible". These tensions were also evidenced in May, when the ABB criticised the All Party Parliament Group on FOBTs, and the agency Interel which works for it, for a lack of transparency in a recent report. Interel managing partner George McGregor told PRWeek the ABB was "throwing dirt" in an attempt to "defend the indefensible". Following yesterday's session, MacGregor told PRWeek of the upcoming Government consultation: "It’s all about appropriate regulation and harm minimisation - and I think it's very clear that we have the wrong balance at the moment." The ABB's director of comms and government relations Gary Follis told PRWeek that the Interel story suggests "that there are elements within the gambling debate that fall short of the levels of transparency and openness required". He said: "We would hope that those attacking betting shops for their own vested and commercial interests would be willing to put the interests of problem gamblers before their own." "Betting shops fully support an evidence based approach to helping problem gambling in the UK," said Follis, saying that a reduction in maximum stakes at FOBTs to £2 at would lead to more than half of betting shops closing, with 21,000 jobs lost, a large loss in tax revenue, and reduce the industry's substantial contributions to the horseracing industry. The latest edition of Private Eye speculates that it is "surely only a matter of time before the government bans betting adverts", noting the recent Advertising Standards Authority case in which gambling companies targeted vulnerable people through affiliate advertising. Watson recently suggested a ban on football clubs being sponsored by betting firms. Joshua Van Raalte, founder of the PR agency Brazil, told PRWeek earlier this month that the prospect of increased regulation on gambling advertising could turn the focus towards PR. He said: "The gambling industry is preparing for the worst-case scenario. They are one of the biggest spenders in advertising - where there is more restriction, it means companies are going to spend more money on PR, CSR, stunts and ambient or experiential activations. "I think there is going to be a lot more money in it. A lot of PR companies are going to have to make difficult decisions - do they want to go down this path?"